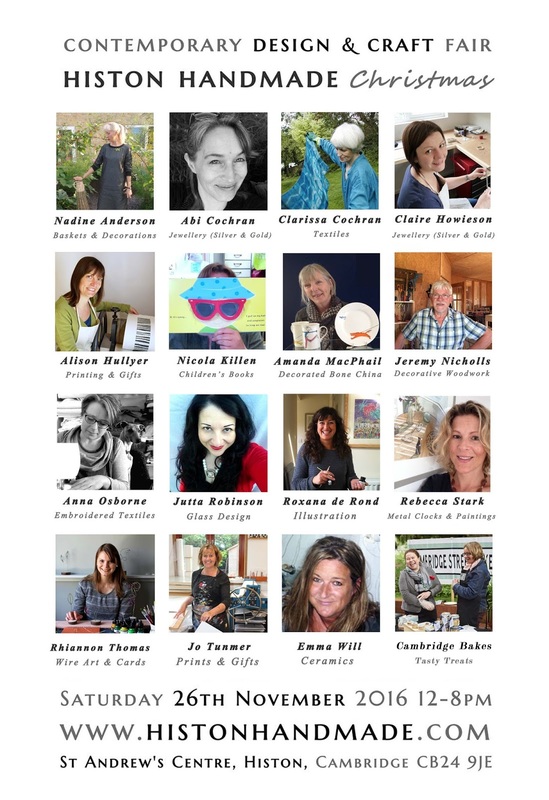 The jeweller Claire Howieson has assembled 16 amazing contemporary designers and makers for my next show this Saturday 26th November. I have exhibited with many of them before and can't wait to see what the new venue looks like. 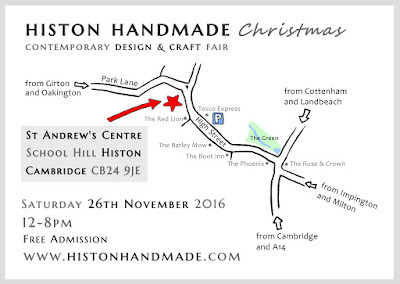 See Histon Handmade website for more details. 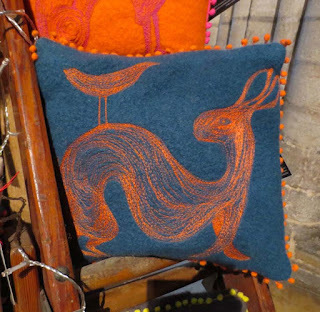 You can't beat Ely Cathedral as a magical venue for a Christmas Fair. This was my third time I have been lucky enough to be selected and I had a prime spot in the central octagon. 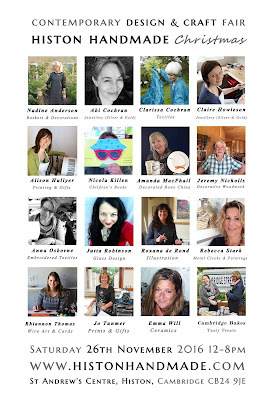 I am starting to get to know many of the the other exhibitors and it's always great to buy from their stalls too. 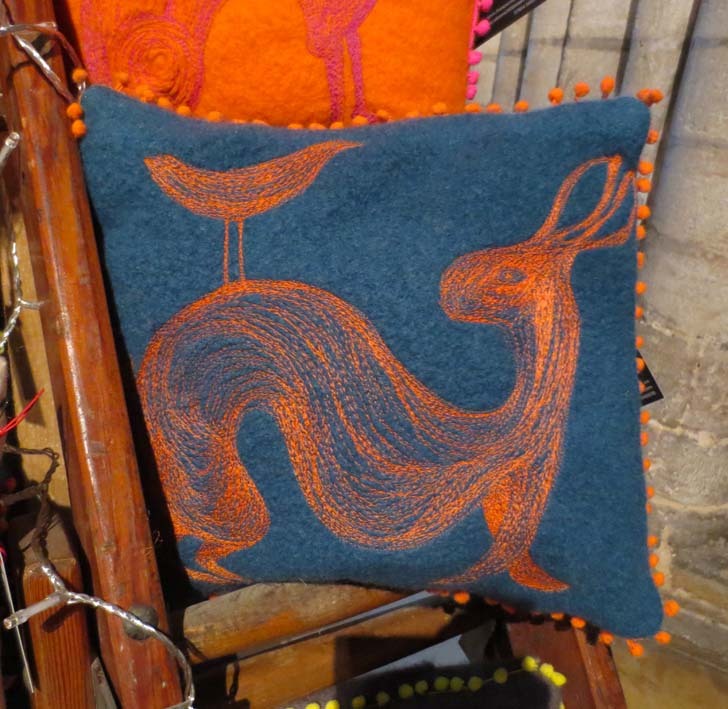 I bought this lovely cushion by Anna Osborne of Speculating Rook (birthday present to myself). 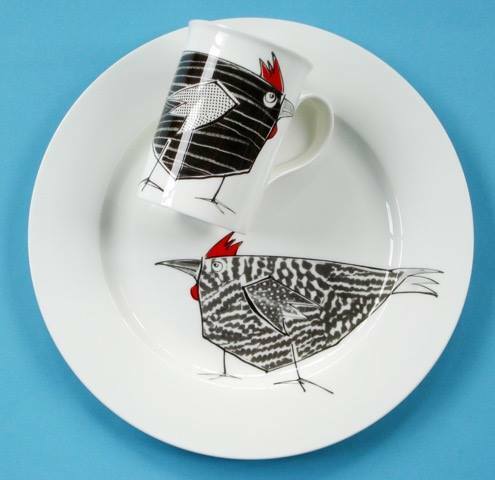 And this quirky chicken mug from Amanda MacPhail. As well as sampling delicious things in the food marquee including several chocolate brownies and celery vodka blood Mary (much nicer than it sounds). Fingers crossed I am invited back next year. 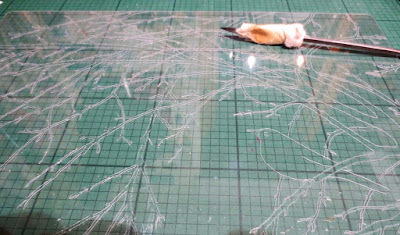 I'm not sure if it's in a printmakers mind-set to want to see images produced multiple times, but I do like to see my original prints reproduced in other forms. My range of coasters now extends to sixty-four designs. I try to keep all the best sellers in stock on my website or etsy shop and the others are available on request. 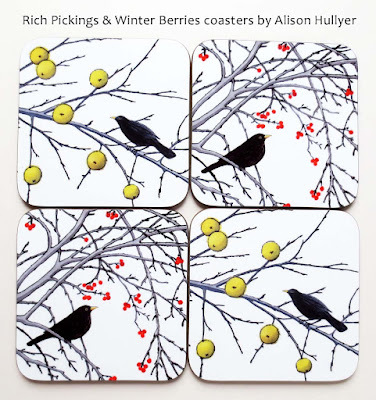 'Winter Berries' is the newest to arrive. 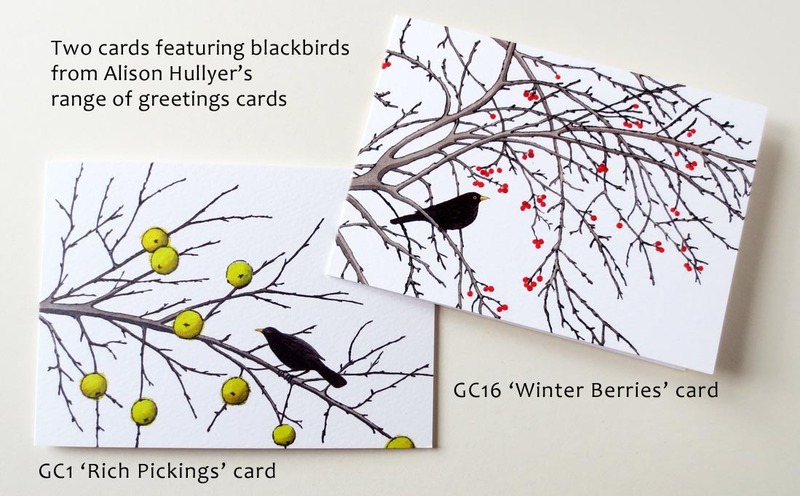 I've also added this design to my range of cards and some have already been delivered to Wicken Fen National Trust shop. 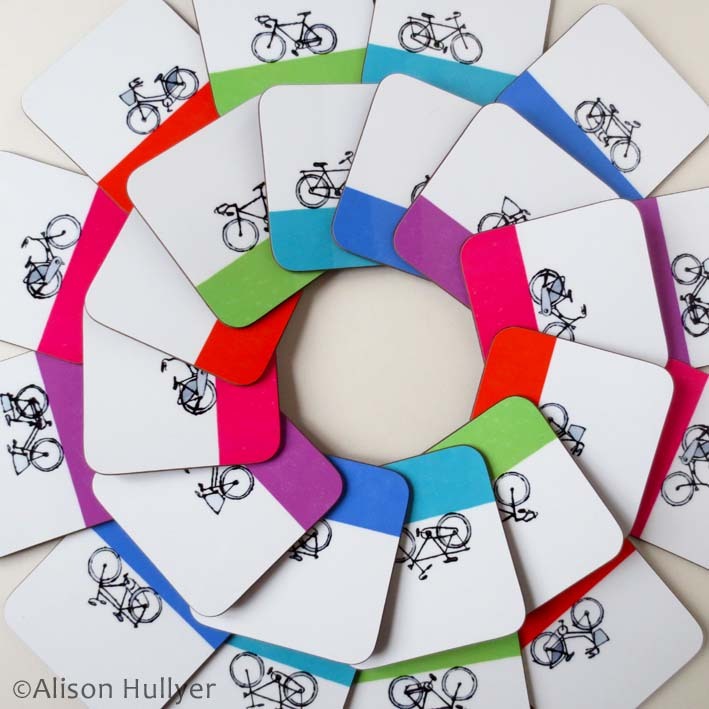 I think these must take the prize for the brightest collection of coasters! They feature my new Bike prints and I had great fun arranging them in a very pleasing circle. 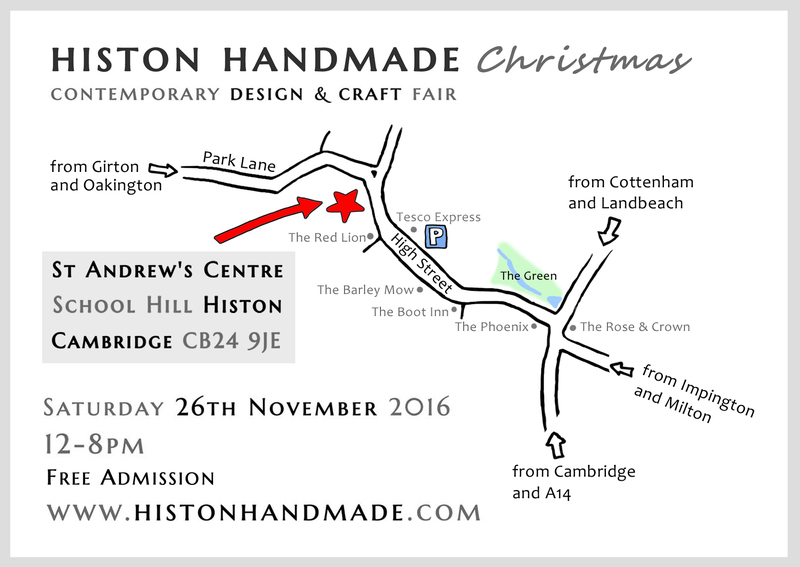 I've been busy the last few weeks sorting out Christmas orders for the shops and galleries I supply and making sure I have enough stock for my four forthcoming festive events. 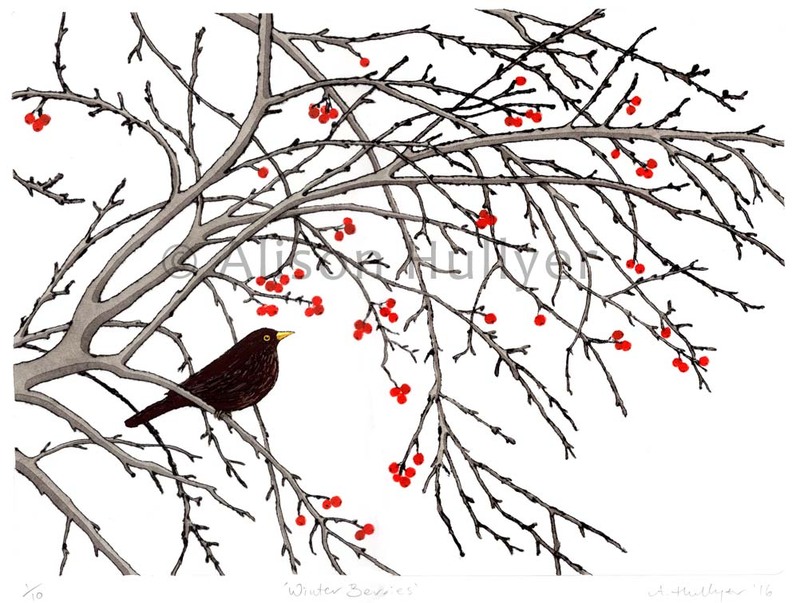 Winter Berries is a new drypoint print that I've had on the drawing board for a while. It's one of my larger ones (31 x 23cm) so was a killer on the fingers scratching the lines into the perspex plate. It's intended as a companion piece to 'Rich Pickings' which featured a male blackbird in a crab apple tree. 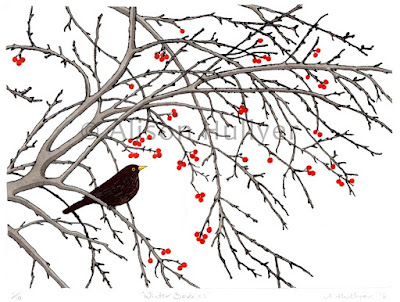 This shows a female blackbird in a hawthorn bush. The berries have been individually printed by hand and the detail on the branches is watercolour. It is from an edition of ten. I am also having the design made into greetings cards and coasters.